Is it just me….or do leftovers in the fridge induce stress? Maybe it’s because of the way I was raised (clean plate club, anyone?) or maybe it’s because I know the time and money that went into making the meal….but when I see containers of food piling up on the shelves, I feel like I need to come up with a plan….quick! So when I peeked in the fridge the other day and saw the spaghetti (still) sitting there from a few nights earlier….the same spaghetti I had unsuccessfully tried to get my kids to eat for lunch 2 days in a row… I could feel myself getting worked up. With the kids on spring break and Jorden taking the end of the week off, I knew I’d be left with no other option than to toss it….unless…. I could come up with another plan! 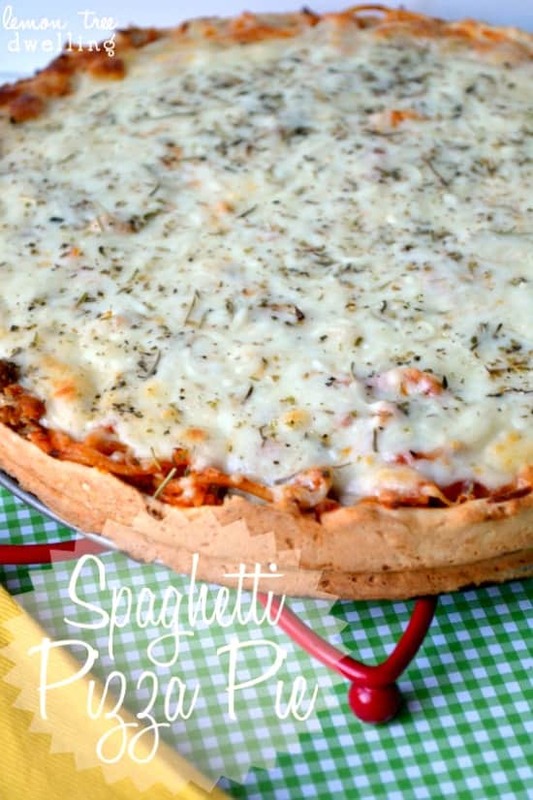 Enter Spaghetti Pizza Pie – spaghetti in a garlic-butter pizza pie crust…. 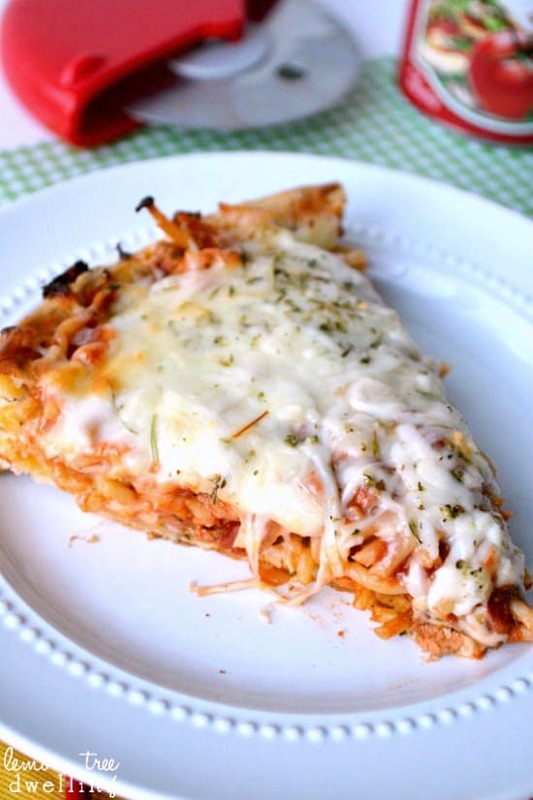 covered in melted cheese and served up like pie….or pizza….or a little bit like spaghetti. You pick! Mix pizza dough according to package instructions. Spread on bottom and up sides of lightly greased springform pan. Combine melted butter, garlic, salt, and Italian seasoning. 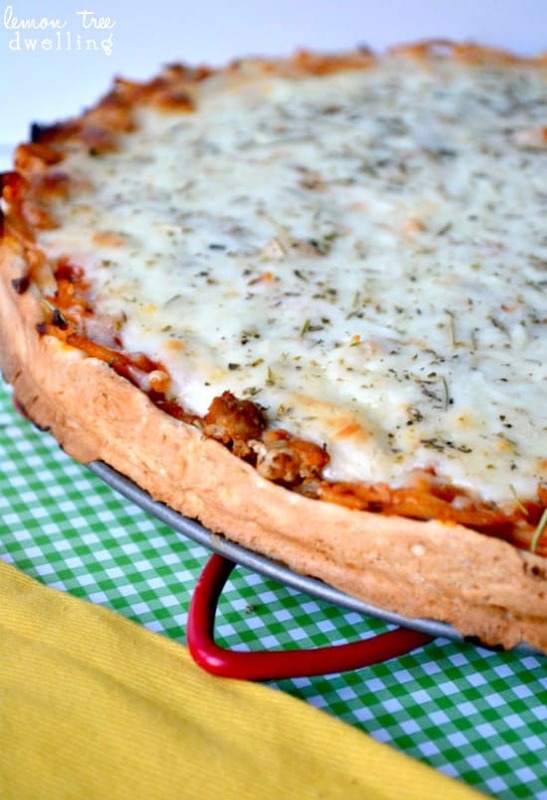 Pour over crust and bake 5 minutes. 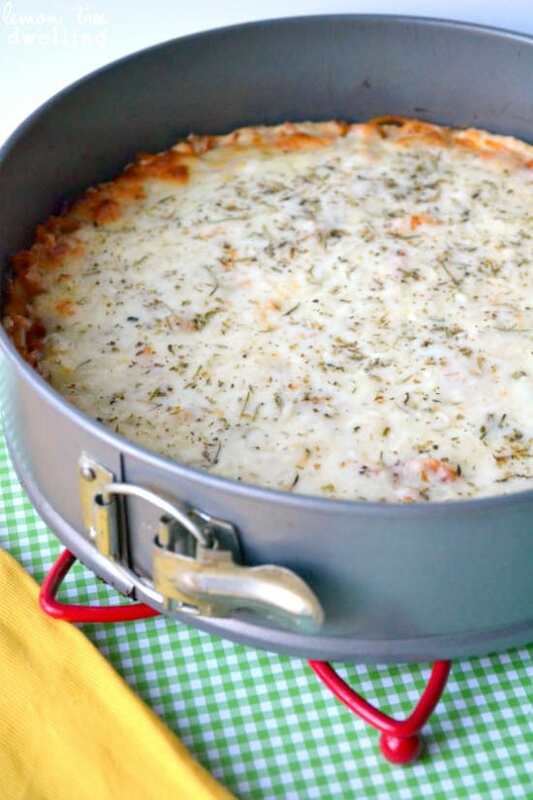 Remove crust from oven; top with spaghetti (packed down), pizza sauce, cheese, and additional Italian seasoning. 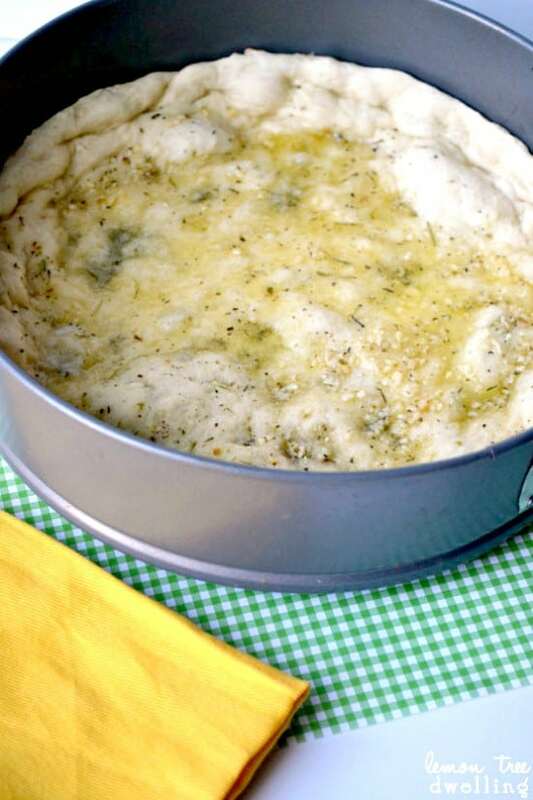 Bake 15 minutes or until cheese is melted and edges are golden brown. This made me laugh out loud! I was raised the same way and have the same anxieties! Sometimes when I feel the need to rebel I toss something my mom would have “used up”! Looks like a great recipe. I never would have thought of a spring form! I make my kids eat leftovers for the same reason-all the time and effort I put into making it all. But truly, I hate leftovers! If I turned leftovers into this, my kids would have a new appreciation for the previous nights meal! Great idea! This is a great post – I feel the same about leftovers. I’m going to add this to my menus – I don’t like wasting food and this certainly doesn’t look like a leftover! Great pics, as always! We have gone from a house of 8 down to just hubby and myself! Yes, leftovers are a big issue. One of my goals this year is to waste less food–in turn it would save money, right. Hubby likes leftovers in his lunch which helps. But the produce drawer gets the best of me! Omelets and quiche are great ways to help in this area. I’m doing better but it is a work! Anyway–I love your spaghetti pie, what a yummy way to serve the leftovers. Good job Mama! Good idea……Thank you for sharing with the Clever Chicks Blog Hop this week; I hope you’ll join us again! Thanks so much for sharing at Time to Sparkle Tuesday! That looks so good! Cant wait to try! Raised the same way but I don’t think it’s a bad thing. People in the USA waste too much. Why? Living in Honduras, a third world country and seeing people not having food and having to treat malnourished children, makes me more aware. This pizza looks great. Makes me want to go out and make one but I don’t have any leftover spaghetti. I bet my husband would enjoy this! He’s a fan of pizza and spaghetti and, well anything really! Thanks for sharing this at the Pinterest Power Party! This looks fabulous. Just pinned another one. 🙂 Thanks so much for sharing at A Bouquet of Talent. Looks delicious! I was also raised on the “clean plate” motto, so I totally understand your inability to toss leftovers! That pizza looks great, I like how you transformed your leftovers into something new. I’ve got a leftovers phobia and once something’s in the fridge I really don’t like to eat it again – so I always try to cook just the right amount because I also hate to have to throw food away (which basically means if I do end up with leftovers they will just sit in the fridge forever and torment me)! I like that Clean Plate Club! Every family member should be active members of that club! :)) Got you from the Busy Bees’ link up. Cathy this looks amazing! I seriously can not wait to try it! I may make spaghetti tonight just so I can have this tomorrow. What a great recipe! Just made this for dinner. Didn’t know if my husband would like it. He did. I used Pillsbury pizza dough (1/2 a pack) Worked great. We will be making this pizza more often. Yay! I’m happy to hear that, Lynn! 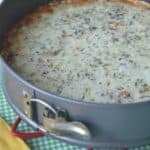 Found this while looking for a spaghetti pizza recipe from a restaurant back in the 80’s during my college days. Hoping this turns out the same since the restaurant is no longer there. Thanks for sharing…I hate to waste food too!